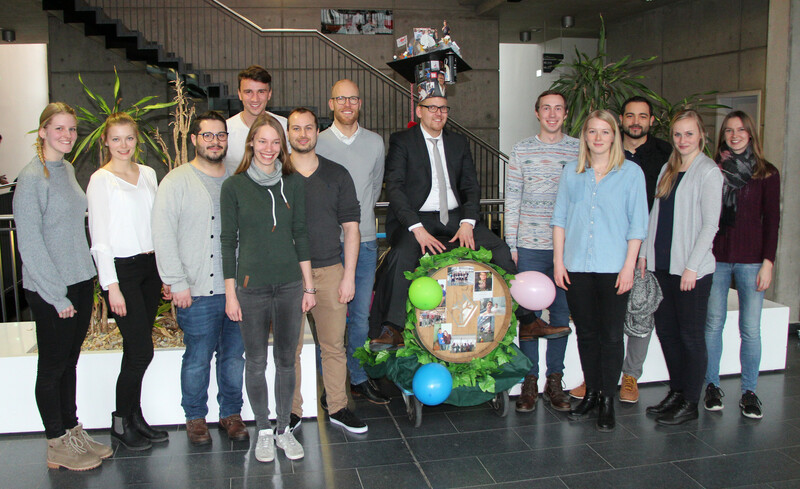 Jan. 2019 - Congratulations to Patrick for successfully defending his PhD thesis. Bravo, Dr. Ahlers! 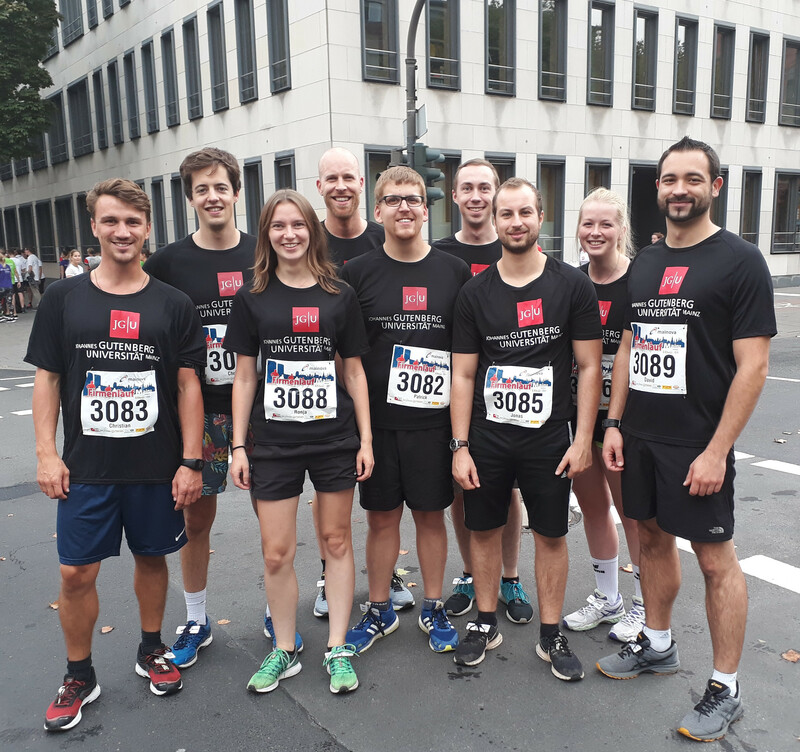 Sep. 2018 - Well done to the group, for participating at the Mainz 5k Firmenlauf. 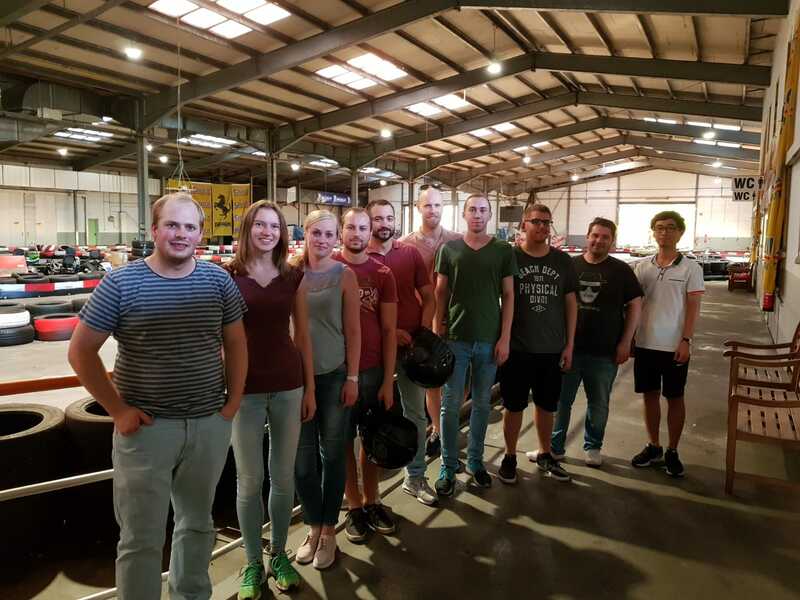 Aug. 2018 - The Besenius group competed in a neck and neck race at the go-kart track in Heidesheim. 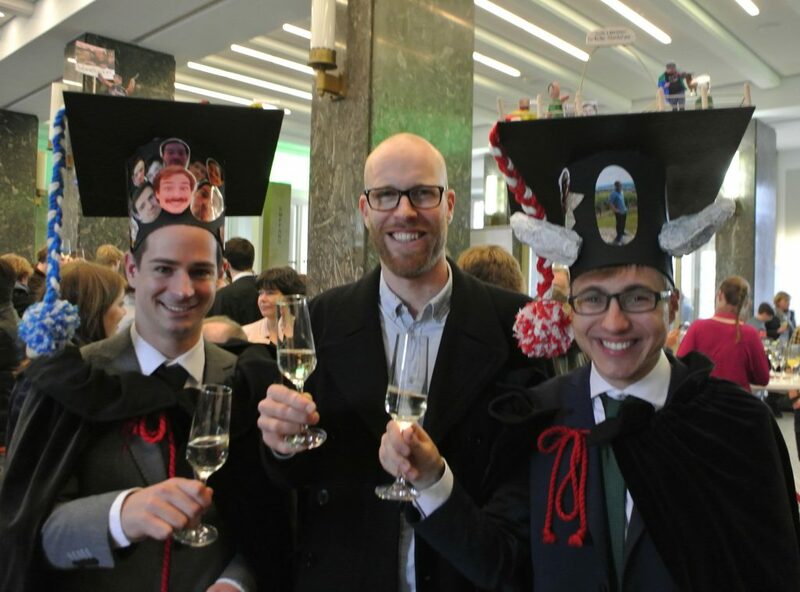 May 2018 - Congratulations to Daniel for successfully defending his PhD thesis. Bravo, Dr. Spitzer! 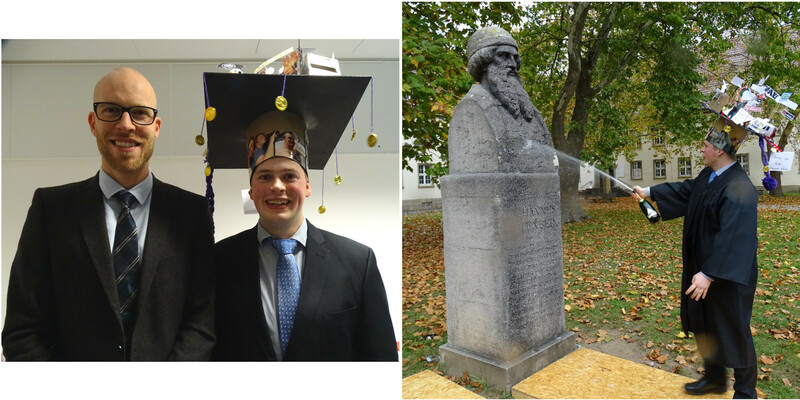 Oct. 2017 - Congratulations to Benedict for successfully defending his PhD thesis. Bravo, Dr. Kemper! 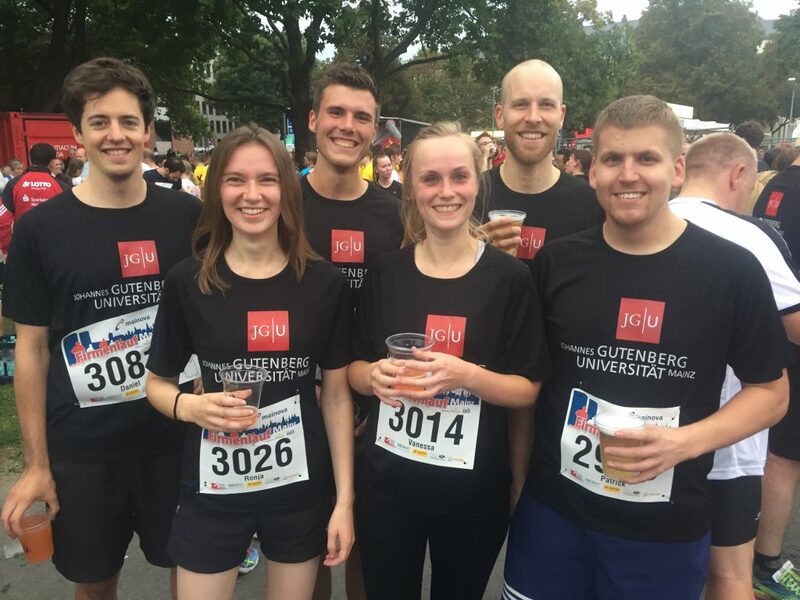 Sep. 2017 - We participated at the Mainz 5k Firmenlauf. Well done to the group. Thanks to Wich lab for the pictures. Apr. 2017 - A fantastic week, packed with exciting lectures and lively poster sessions has just finished. 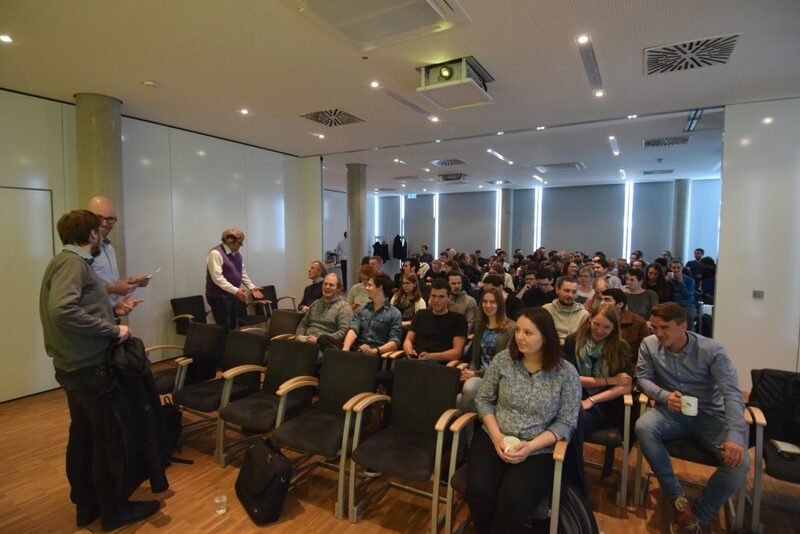 Pictures from the Meijer-Lab / MAINZ Mini Symposium on 'Advanced Materials Through Supramolecular and Macromolecular Functional Systems' can be found here, and pictures of the MAINZ Masterclass on 'Supramolecular Functional Materials' here. Dec. 2016 - The Besenius lab goes 'Kegeln' with collaborators and friends for this year's Christmas party. 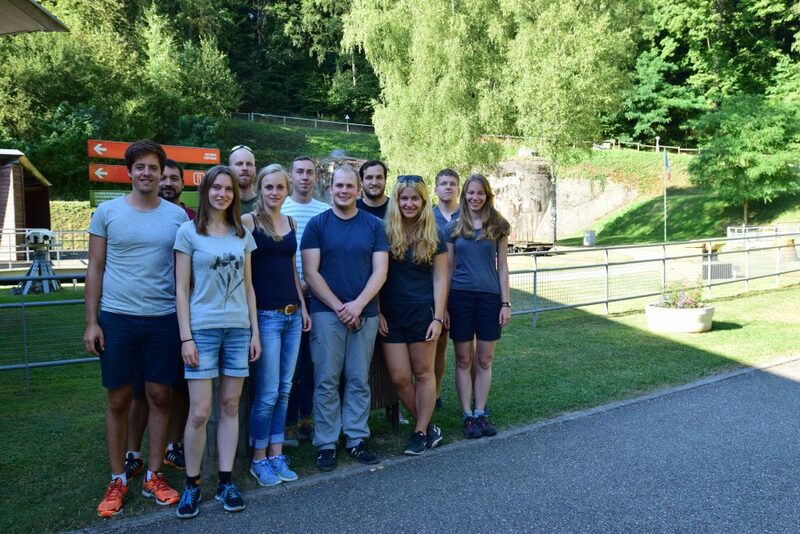 Sep. 2016 - Our annual group retreat with great talks, food and wine took place in Siersthal, Northern Vosges Natural Park. Apr. 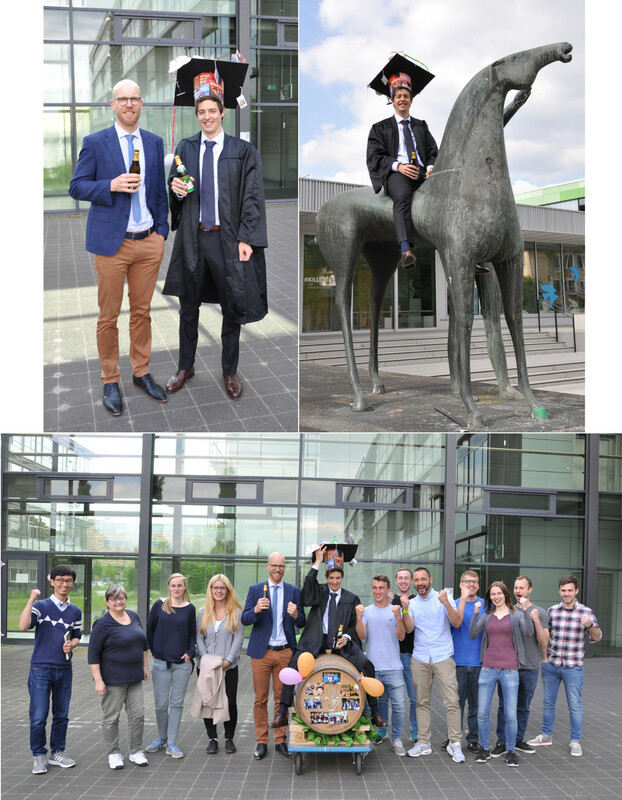 2016 - Congratulations to Dr. Hendrik Frisch and Dr. Ralph Appel, the first two PhD students to graduate from the Besenius Lab. 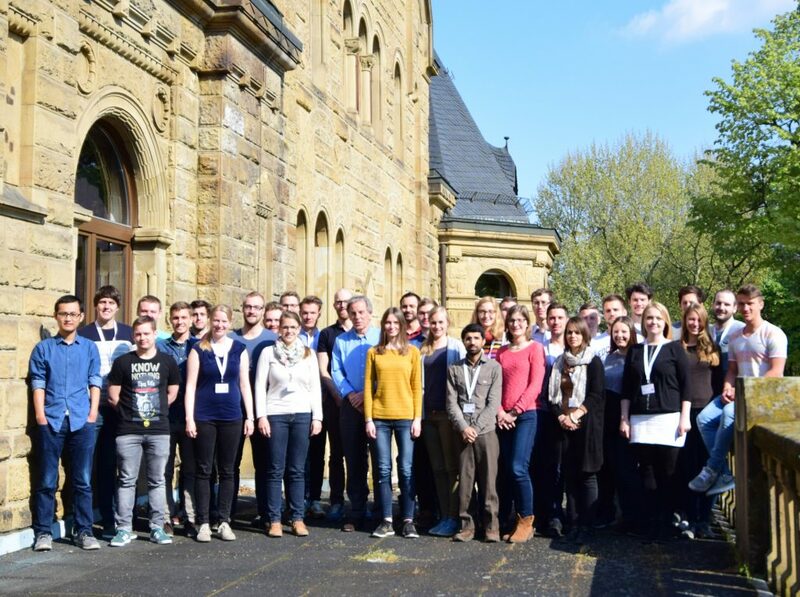 Oct. 2015 - The first Besenius group retreat took place in Senheim, on the Moselle river. Jun. 2015 - The hike through the Rheingau together with the group of Prof. Kunz was a full success. Jan. 2015 - After three and a half years of research at the University of Münster, our group is moving to the University of Mainz. Dec. 2012 - The 2nd German Symposium in Supramolecular Chemistry, is announced and open for registration: http://www.uni-muenster.de/SupraChem2013. Link to the press release from the University of Münster. May 2011 - Following Pol’s appointment at the Organic Chemistry Institute - University of Münster, a first version of our website goes online.